Do you remember / know Conquest of Empire? The wargame published by Eagle-Gryphon Games with involvement of Martin Wallace in 2005 (second edition). First edition is from 1984! 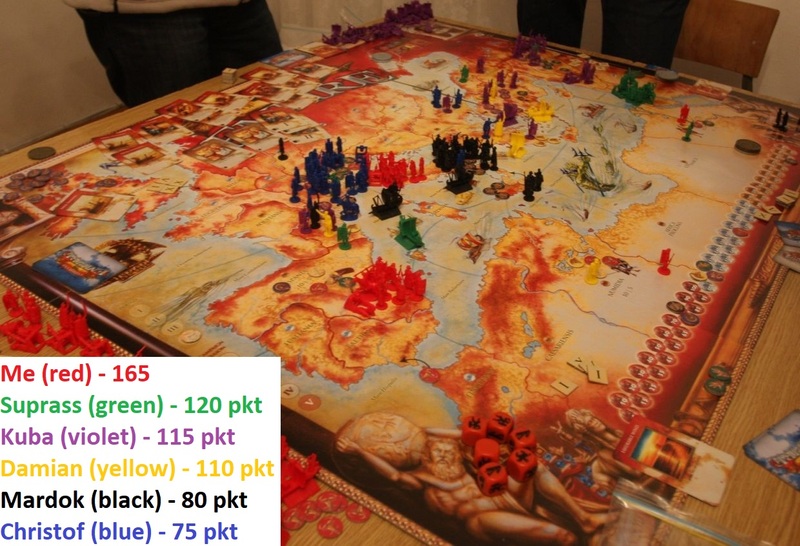 Large board, 6 players (wow! ), well balanced goals and changing alliances from turn top turn. 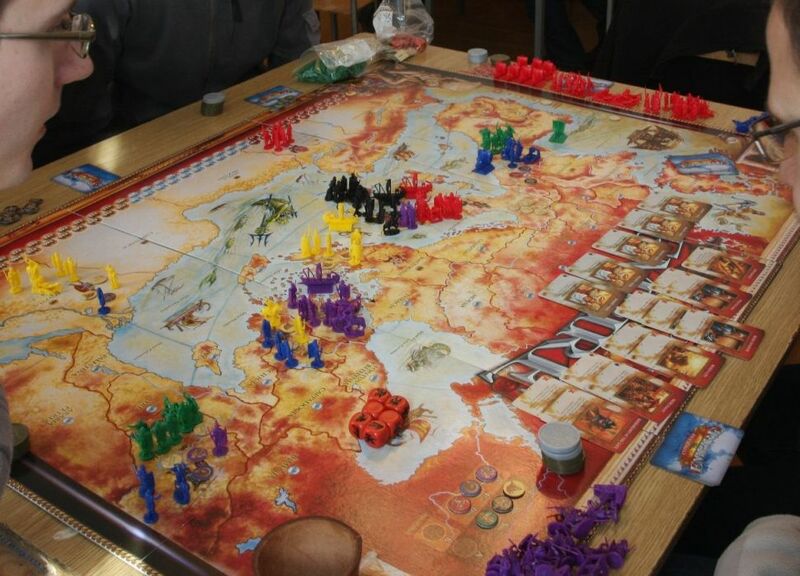 You can lay whole game in about 4-6 hours so it was not so often on our table. The problem with that game was that it was hard to get 6 players to play it especially for ~5 hours. Kind like Twilight Imperium. But once you get them to the board – and conventions are kind of best time to do something like this – you have guaranteed fun. That looks cool! Can’t say I’ve ever heard of it, though. Yes, that is pretty decent game although has its years. The changing alliances – which you can influence with money – are great concept in that game.